Reddit may be the site of the moment, but its design looks like something from the 1990s. 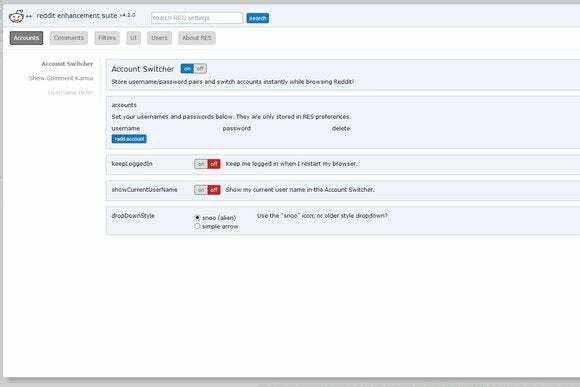 Open-source donationware Reddit Enhancement Suite can bring Reddit's look and functionality into the 21st century. RES provides you with a set of features that enhance the user interface on reddit.com. This browser plugin is available for Firefox, Google Chrome, Opera, and Safari (but not Internet Explorer). Reddit Enhancement Suite includes features from any longtime Reddit user's wish list. Highlights include a "neverending" Reddit page, on which the next page automatically loads as you get to the end of the current page, and the ability to subscribe to discussions. The latter is invaluable if you make a lot of comments and want to be notified when people reply to them. Also on offer are Account Switcher. Inline Image Viewer, and Live Comment Preview. If you prefer to keep personal links separate from work links, Account Switcher makes it easy to go from username to username. 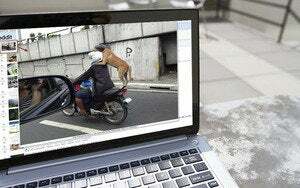 Inline Image Viewer blows up images posted to Reddit without leaving the site. The Live Comment Preview allows you to see comments updating in real-time as you write. This shows you what the comment will look like when you press the submit button, which, given the somewhat idiosyncratic nature of the formatting tools that Reddit offers, is invaluable. The developer is planning to bring out a paid Pro edition soon which will include the ability to sync your RES settings via the cloud. No word yet on pricing. Note: The Download button takes you to the vendor's site, where you can download the edition appropriate to your supported browser. This browser add-on provides invaluable tools for Reddit power-surfing.